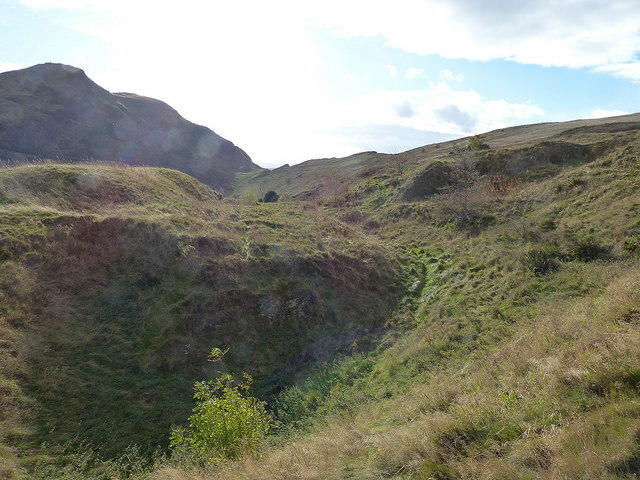 One of the popular activities for guests who stay at Craigwell Cottage is to take a walk round Arthur’s Seat in Holyrood Park. 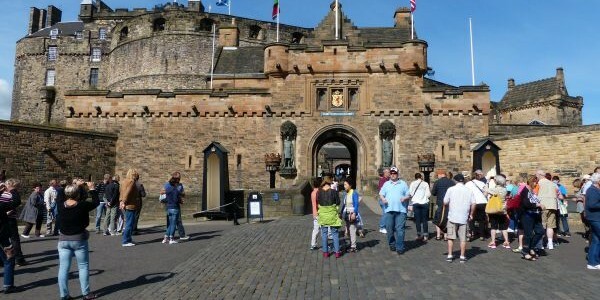 If you head for the Scottish Parliament at the end of the Royal Mile, then you can pick up the route from there no matter where you’re staying! The route is just under 4 miles, and it is quite steep at the start, but you will want to take frequent stops to allow for taking photographs and maybe making little videos, so allow a couple of hours. There are no restrooms on the route, and no shops, so if it is a hot day it would be advisable to take a bottle of water with you and make sure you put on some sunscreen. A good stout pair of walking shoes or trainers (sneakers) should suffice, and after the first mile or so the route follows a tarmac pavement. 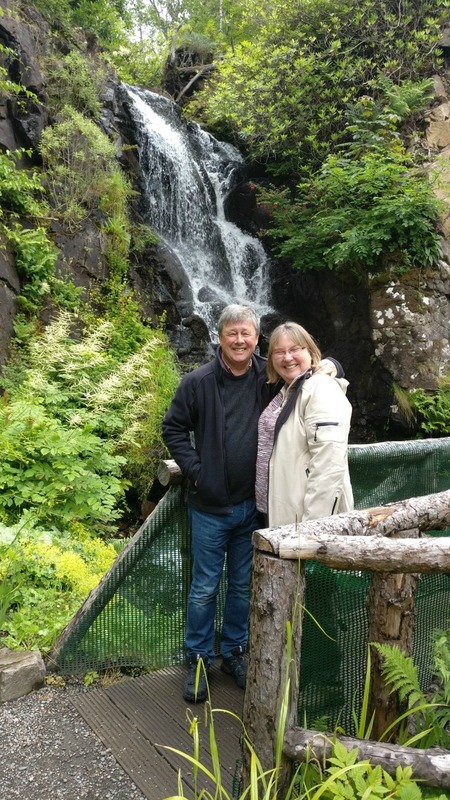 The ‘off road’ part of the walk is along a rough track which is wide enough for 3 people to walk side by side, but do take care as the ground falls away very steeply beside the path, so don’t get too close to the edge. To pick up the path in front of Salisbury Crags, keep the Scottish Parliament building to your right, but stay on that side of the road, crossing Queen’s Drive and turning left along the side of the cycle track on the south side of Queen’s Drive. You should see a short flight of steps leading up to the track – turn right there and start your climb. 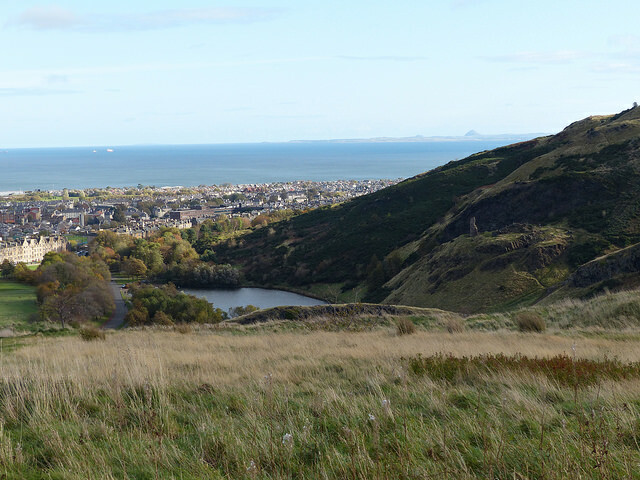 Follow the track until you descend to Queen’s Drive, then follow it round the south side of Arthur’s Seat, passing Duddingston Loch and Dunsapie Loch and then descending to pass St Margaret’s Loch and returning to your starting point near Holyrood Palace. There are many opportunities for photography, and if you’ve timed your walk to finish in time for “elevenses” or afternoon tea, then we’d be happy to recommend a visit to Hemma Bar, Sugarhouse Sandwiches, Clarinda’s Tearoom or the Queen’s Gallery Cafe.